We’ve been increasingly working with international brands and organisations to raise awareness and understanding of materials with a reduced environmental impact, so it was a perfect fit when we were invited to take part in Modint’s Sustainable Material Seminar, supported by ClickNL NextFashion. The workshop will allow participants hear from a range of speakers, to find out ‘What can you do to make your products more sustainable?’ and ‘What can you communicate?’ among much more. Participants will receive tools and contacts to help create more sustainable businesses. You can register to attend here. Please note the workshop will be held in the Netherlands. Next month we’ll be running an interactive sustainable materials and sourcing workshop, aimed at London based designers and brands. You can find out more below and register for free by e-mailing getreadytosupply@gle.co.uk. You can find out more about GLE workshops by clicking here. We’re delighted to announce we will be at the Sustainable Brands Conference in London, from 3rd – 5th November 2014. We’ll have a stand at the Sustainable Brands Activation Hub, where you can visit us between seminars to discover a range of reduced impact materials from the Future Fabrics Expo, discuss sustainable materials and value chains, and find out about our projects, tools, and events aimed at reducing the environmental footprint of the fashion value chain. You can join nearly 500 of your peers at The Lancaster London Hotel to learn from over 60 change agents in more than 30 workshops, plenaries and breakout discussions. Sustainable Brands® is the premier global community of brand innovators who are shaping the future of commerce worldwide with focused attention on understanding and leveraging the role of brands in shaping that future. This year marks the 3rd year the community is gathering in London. Dedicated business leaders from companies such as Unilever, Marks & Spencer, BASF, Heineken and others are planning to participate as well as thought leaders from Guardian Sustainable Business, Forum for the Future, SustainAbility and more. There is a conscious effort to bring unexpected participants together – large multinational corporations, start-ups, NGOs, academia, investors and government agencies – each bringing a unique perspective but shared passion for shifting the world to a sustainable economy. We are delighted to announce that the 3rd Future Fabrics Expo will take place inside the reputable Fashion SVP manufacturing and sourcing fair at the Olympia 2 Exhibition Centre, London W14, on 22 – 24 September 2013. 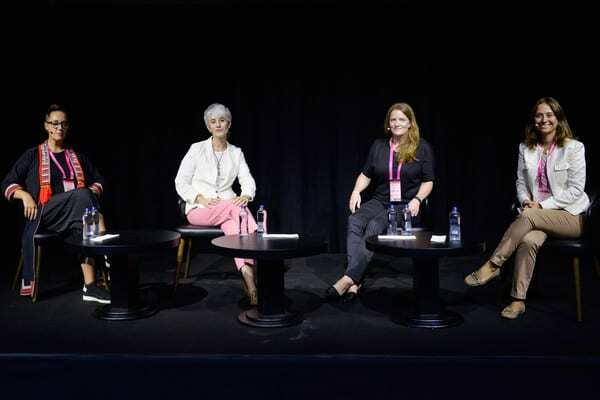 The expo will be showcased inside the industry guided sourcing event Fashion SVP, which will be focused on near-shore (European and Mediterranean) manufacturing, while The Sustainable Angle’s Future Fabrics Expo will again showcase several hundred globally sourced sustainable textiles. The 3rd Future Fabrics Expo follows in the footsteps of our first two expos hosted in London in 2011 and 2012, exploring diverse ways to reduce environmental impact in the supply chain. We are looking forward to presenting a wide selection of sustainable fibres, fabrics, and finishes, and getting visitors to learn about and consider their fabrics choices, both at our expo and seminar session – the full programme will be available on www.fashionsvp.com soon. – A curated showcase aimed at designers, buyers and press, including several hundred unique and individually selected natural and man-made sustainable fabrics from diverse global mills. – An easy to navigate sourcing and research showcase that is designed and curated to introduce textiles for the future with a reduced environmental impact in a jargon-free manner. – A complimentary offer to Fashion SVP, which will showcase near-shore garment manufacturing exhibitors who make not just for the mid-market, but also for upmarket brands with a global audience. – The Sustainable Angle will also share some of the latest sustainable innovations in the Fashion SVP conference programme. – Fashion SVP will include conference sessions, the exhibition and networking opportunities. In the run up to the expo you can visit our website and blog for our latest news. If you are unable to attend the expo, you can get in touch to discuss tailored workshops for your company. The Sustainable Angle recently visited Paris to attend the bi-annual Premiere Vision and Texworld fabric sourcing shows. It was a chance to catch up with our favourite mills we have been working with over the last couple of years, and an opportunity to meet new and old companies with vastly differing approaches to sustainability. Our requests for fabrics with a reduced environmental impact were met with varying levels of success and enthusiasm, though the several long conversations we had about the subject did show people’s interest to discuss the subject and really try to evaluate where the industry is now, and where it is heading in terms of sustainability. The answer to that is not necessarily straightforward when looking at the industry as a whole, but we are pleased to say that we did come away with several new mills to showcase in the next Future Fabrics Expo, showing the continuing efforts towards sustainability. You can soon see some of the fantastic sustainable fabrics we came away with, and are looking forward to showing in the Future Fabrics Expo on 7th – 9thNovember. The Sustainable Angle have been invited to present the Future Fabrics Expo at the MADE-BY partner conference in Amsterdam on April 17th 2012. We will be discussing ideas on the future of fashion fabrics, and past and upcoming Future Fabrics Expo events. 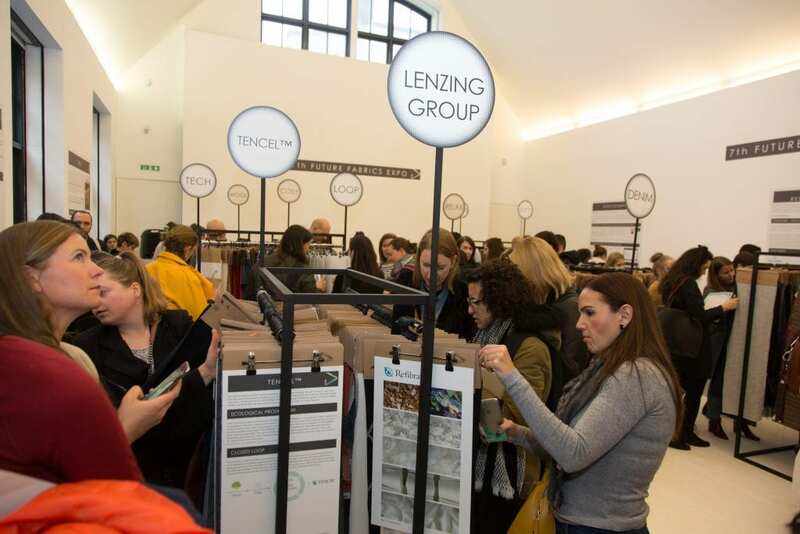 A fabric showroom displaying Future Fabrics Expo samples will allow MADE-BY partner brands to gain a tactile experience of the latest commercially available sustainable fabrics. Visit www.made-by.org for more information. 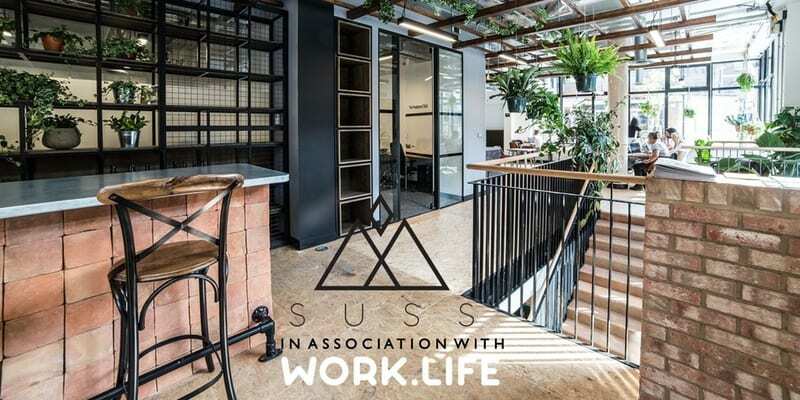 The Sustainable Angle is a not for profit organisation which initiates and supports projects which contribute to minimising the environmental impact of industry and society. Our project The Future Fabrics Expo focuses on the fashion industry and how its environmental impact can be lowered through innovation in the textile industry, and novel ideas to transform the fashion system and design practice. 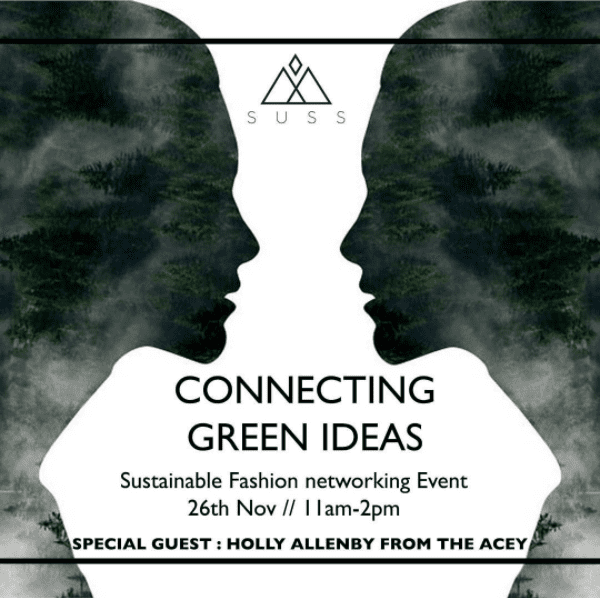 On November 7th – 9th 2012, the second Future Fabrics Expo organised by The Sustainable Angle, will again be hosted by the London College of Fashion with the support of the Centre for Sustainable Fashion. 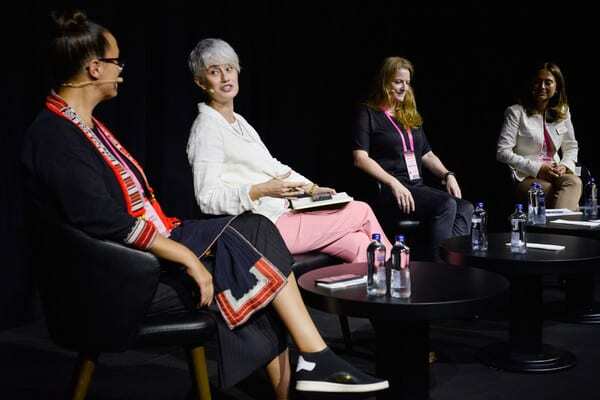 The curated expo will showcase a diverse range of individually selected fabrics, products and ideas related to lowering the environmental impact of the fashion supply chain. 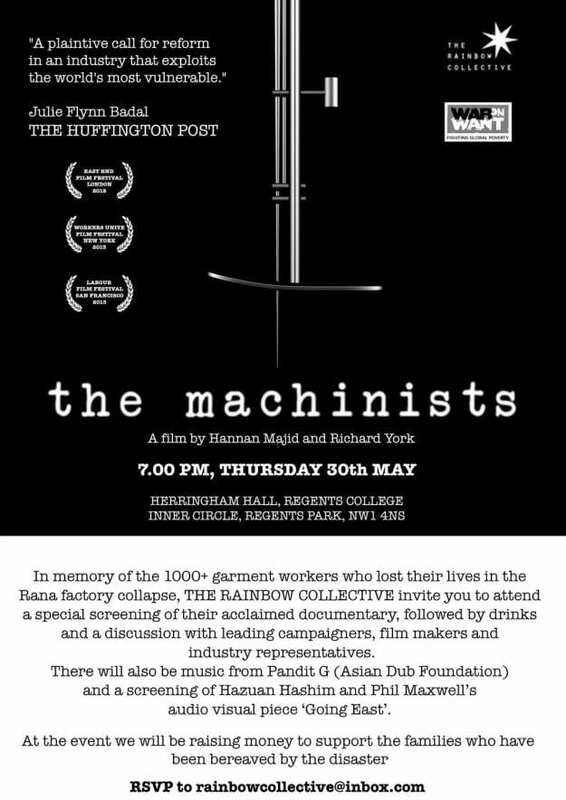 More information about this event will follow soon, and you can visit our website to find out more about our event and other services. Along with our website, The Sustainable Angle’s latest news and events can now be read and shared here, at www.thesustainableangle.blogspot.co.uk. You can also join us on Facebook, Twitter, and Vimeo.